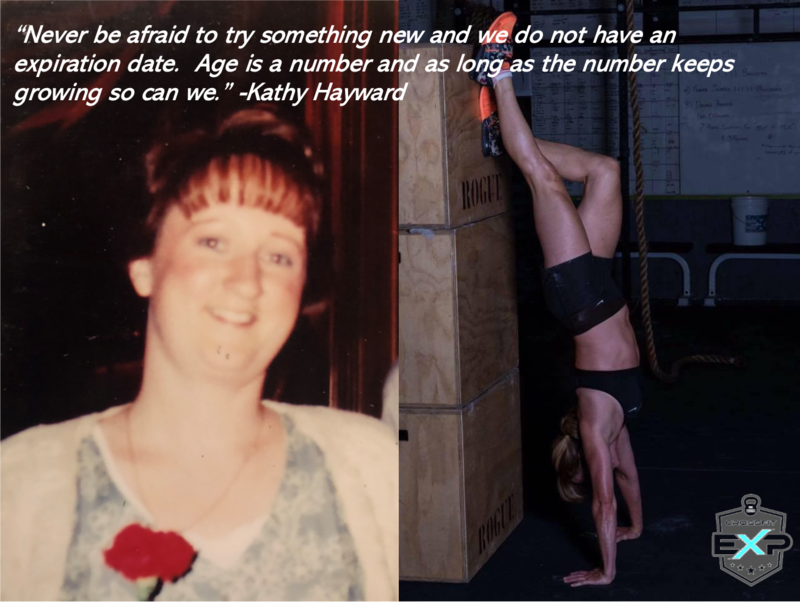 I wanted to introduce our October Member Highlight this Month, Kathy Hayward. 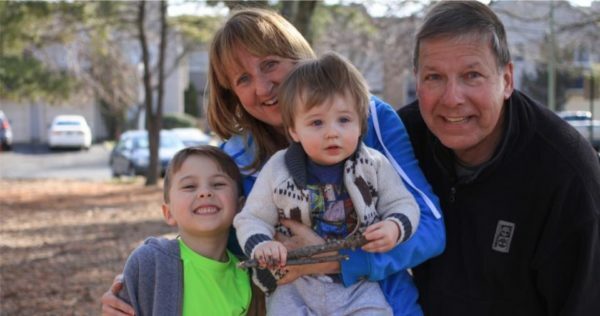 She is regrettably and excitedly leaving us after this month to move to NJ to be closer to her son and 2 grandsons, and we could not be happier for her and her husband Marty. At the same time we as so bummed as Kathy is one of the most exemplary EXP’ers ever. 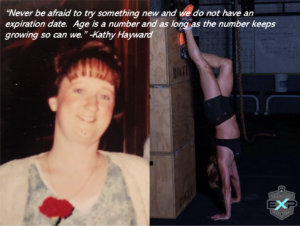 Kathy started training at a bootcamp I was coaching over 12 years ago, and I noticed then how much untapped potential she had. At the beginning every time that I tried to push her, she kept rising to the challenge. Her ability and pain threshold was far superior to most or all that I trained in bootcamps back in the day. So that lead to personal training, and we starting to push those limits even more. That lead to 400m, mile, and 5k runs and races. That led to learning how to swim and bike, which eventually lead to triathlons while still training at EXP and our methods. Along the journey she became a great friend to me and my family. 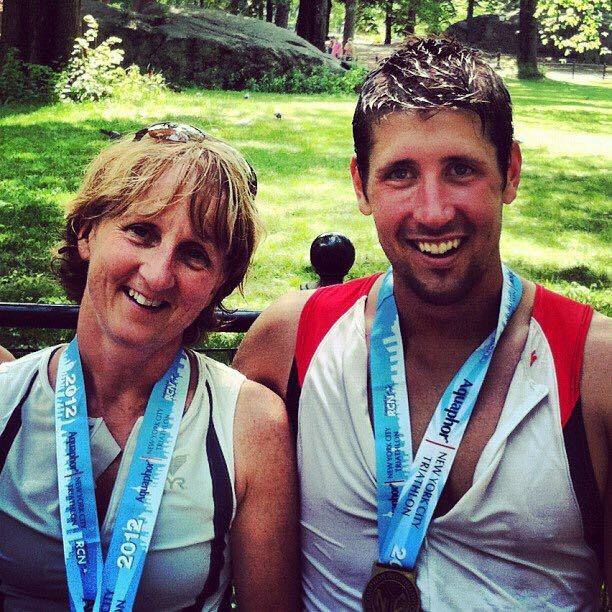 Fast forward to one of the biggest goals of my life, my first Ironman Triathlon, a 2.4 mile swim, 112 mile bike, and then a 26.2 mile marathon, and guess who joined me…..thats right Kathy at the young age of 52, Kathy decided to race with me, or rather we decided to tackle this big goal together. She not only finished in style, but she managed to not almost pass out after the race unlike the other one…..me. 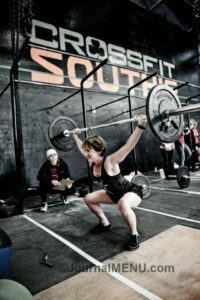 Anyways, She then got immersed more in CrossFit as a masters athlete, and became highly competitive, missing going to the CrossFit games by just 2-3 places in the Masters qualifier. 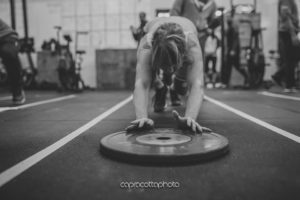 She has managed to conquer and train through some major injuries along the way, and that just shows her drive and determination. She daily continues to sharpen the sword, always trying to get better. I highlight all of these amazing accomplishments because they do not hold a candle to the type of friend that she is, to many of us here at EXP. She has been a rock of a friend, training partner, and family member for Tiffany and I’s family. Her integrity and loyalty is greater than anyone else I know. To say that I personally will miss her daily is an understatement, as she has been though almost every adult step of my life with me, graduating college, my first house, getting married, first and second child, Team Maximus. She has always been there and her support for me, and my family has been second to none. 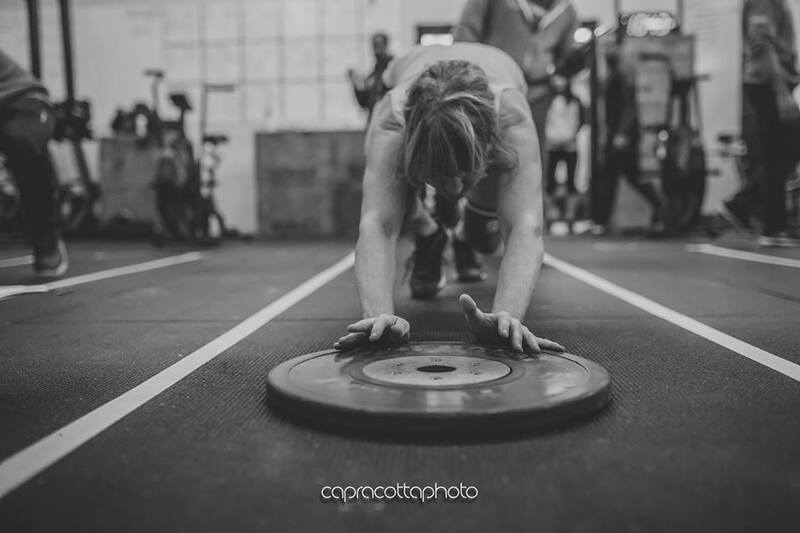 I trained with Nicholas at Global, moved to FitCamp and FitCamp evolved into Crossfit EXP. Whether it was fit camps, personal training, FitCamp or Crossfit EXP it was always the family like community and caring individuals that stuck with me. Wow, not sure how many years now I have “stayed” with CF EXP. I have loved being part of the community with caring coaches. A feeling of belonging. A place to try any and everything and not be judged. Most proud of being adventurous and always up for the challenge. At this time I don’t have a next “physical” challenge. 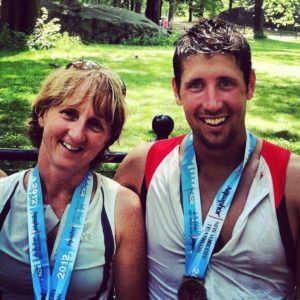 I do want to do another ½ ironman – compete in the Opens this year and stay healthy. Never be afraid to try something new and we do not have an expiration date. Age is a number and as long as the number keeps growing so can we.